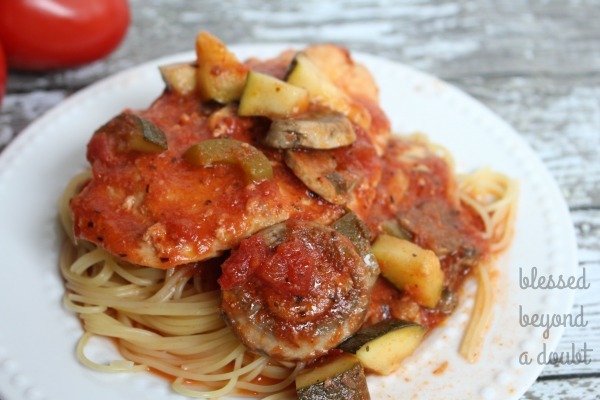 I doubled this easy Italian crock pot chicken recipe and froze the leftovers for another meal. I will just throw the entire leftovers with pasta and all on low for next week. This easy crock pot chicken recipe was a big hit with my gang. And it tasted quite different from your typical spaghetti. Combine chicken first and the rest of the ingredients, except for the pasta. I like to serve this with a green salad and Italian bread. It’s a super easy meal that fills everybody’s stomach. Check out my most popular post, 101 Crock Pot Recipes! 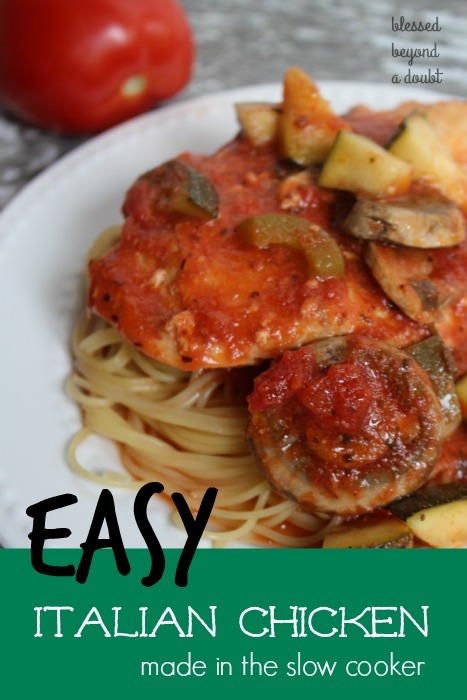 Thanks for pinning this easy Italian crock chicken recipe! « A big List of PUMPKINs Printables, Activities, Recipes & MORE!